Product prices and availability are accurate as of 2019-04-05 16:11:03 EDT and are subject to change. Any price and availability information displayed on http://www.amazon.com/ at the time of purchase will apply to the purchase of this product. 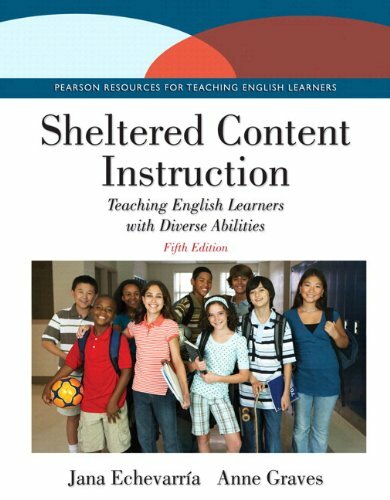 A popular text by renowned authors Jana Echevarria and Anne Graves, Sheltered Content Instruction: Teaching English Learners with Diverse Abilities , 5/e presents a complete guide to preparing teachers to use the sheltered instruction approach to deliver content area instruction to English learners. It includes recent research, best practices, and policies that impact the education of English leaners, and gives teachers the means to think about their own educational practices and the issues they should consider when teaching English learners, especially those struggling academically. The Enhanced Pearson eText features embedded video and internet resources.